About a year ago, under a pouring rain, I took my very sleep deprived self to an event in Nova Victoria. I sat at a table with quite a lot of people (bloggers, journalists and so on). It was a very pleasant evening. I chatted at length to a lady who had two kids and freaked me into thinking it was a good idea never to give any form of sugar to a child before 24 months (she had followed this approach and her kids, allegedly, ate anything now); I made my way home with the full resolution of following the no sugar, nothing sweet rule, which of course I managed to break as soon as little Oliver started his weaning journey. I also spoke for a while to a gentleman who invited me to write for his food site, as a contributor, in exchange for the opportunity to attend dinners, drinks and food related events. 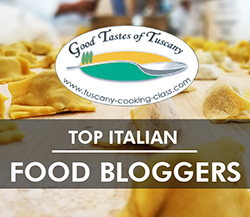 I soon shyly submitted my first piece, and after that, became a regular enjoying plenty of really fun and interesting sessions representing Foodepedia. Towards the end of the evening, when we had finished our dinner and were about to say our goodbyes, this young, sparkly woman came over and introduced herself. She was super friendly, really lovely, bubbly and beautiful and, as it turned out, worked in the industry as a food stylist and food writer. I admit I had not actually noticed her until this point, but she had instead noticed me (I am that memorable) and felt inspired to make my acquaintance. I chatted for a bit but was so tired and zonked at this point, I suggested we followed each other on social media and waved goodbye. We started keeping in touch occasionally, until finally, quite a few months later, we ended up sitting opposite each other at a pizza night in Hoxton square and hit it off once again, having a laugh the entire night. Since then, we’ve been having dinner and drinks dates as often as we possibly can. I am still suffering with lack of sleep (and I will, for the foreseeable future) but I have now a good friend in Natalie, and I love hanging out with her. As I became closer to her, I found out she’d published a useful, cute book called The Goodness of Nuts & Seeds. Of course, I got myself a copy and for months I have been planning to make something from it, because there are loads of mouthwatering recipes inside, stunning photos (she’s a food stylist after all) and the entire book is dedicated to, well, as the name says, the goodness that is in nuts and seeds. While most of us have a certain amount of these at home, Natalie’s recipes are fully focussed on them, and therefore it took me a while to finally get organised enough to get all (or nearly all..) the necessary items for a couple of recipes. Waitrose order done, I could finally tackle the first one. 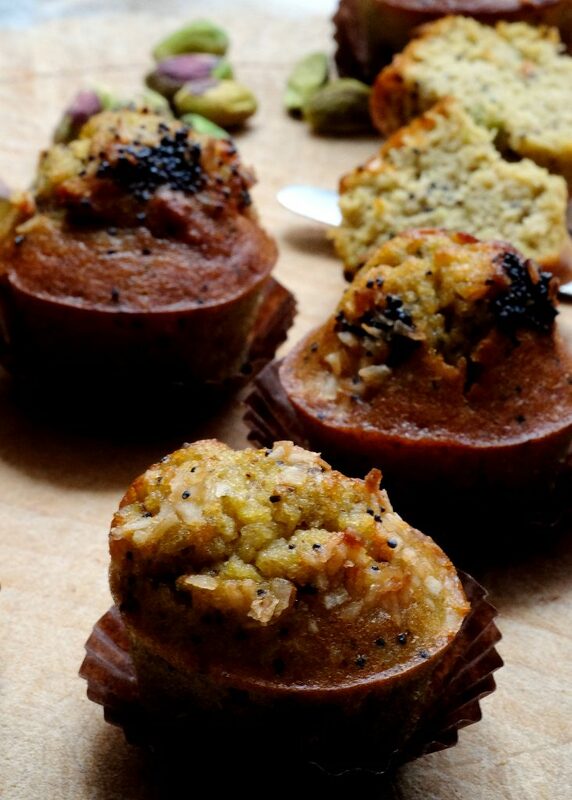 I picked her Pistachio & poppy seeds muffins, because they looked gorgeous but also because they are baby friendly (not for the lady I met last year.. obviously): they do not contain refined sugar, and they are dairy free. Of course, as usual, I have made some slight tweaks to the recipe, because despite all my efforts I forgot one ingredient (so I replaced the orange juice and zest with lemon) and I did not have almond milk, instead I used coconut. Still, the result was great. 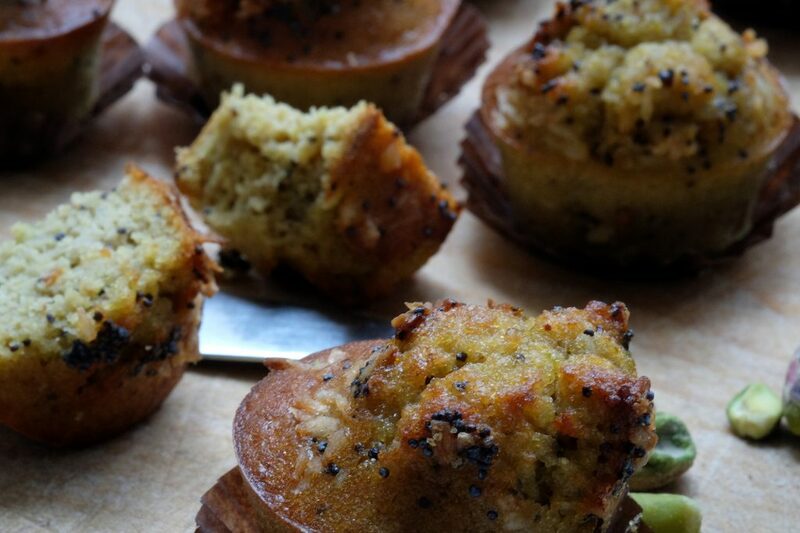 I made mini muffins for mini hands, and they were delicious: moist, soft, not too sweet and packed full of nutty flavours. The recipe is below. Let me know what you think! Preheat the oven to 180c. Line a muffin tray (I used a mini muffin silicon tray, yields 16 - using a regular size it will yield 8) with muffin cases. 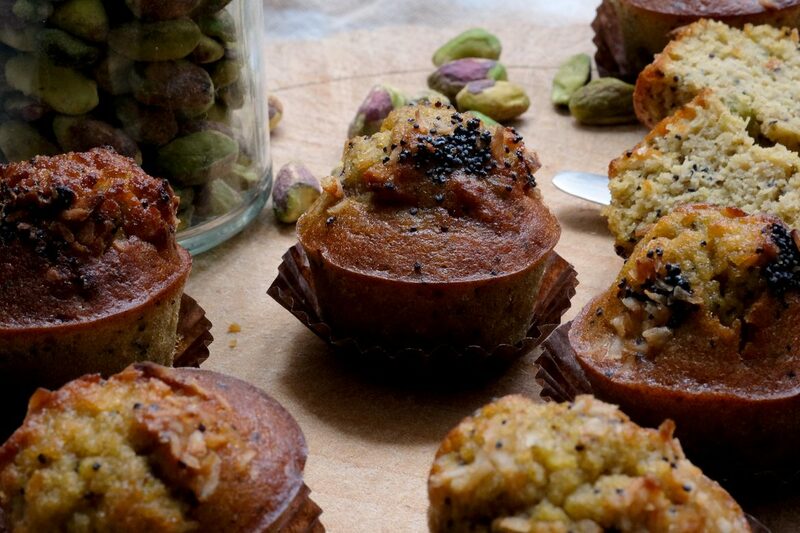 Place the 100gr pistachio in a blender and ground finely. Place in a medium size bowl and add the ground almonds, the coconut flour, the sugar, the baking powder, a pinch of salt, the orange zest and the poppy seeds. In a measuring jug, squeeze the lemon juice and add the coconut milk, to make up about 180ml. Add to the bowl with the dry ingredients, then add the eggs, the almond oil and the vanilla essence, and mix well. 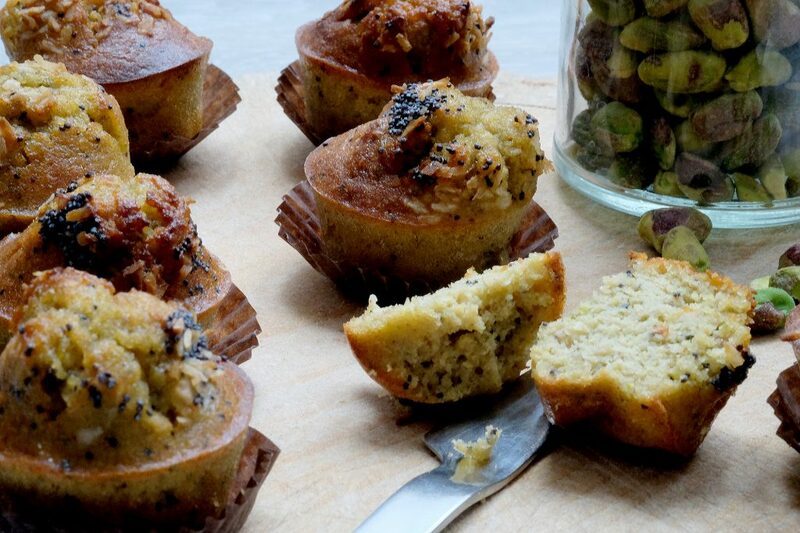 Pour into the muffin cases and sprinkle with the remaining poppy seeds and the coconut flakes. Bake in the hot oven for about 12 minutes or until golden - brown. Transfer to cool on a wire rack and let them cool completely. Keep in an air tight container for up to three days. Natalie uses orange instead of lemon and almond oil and milk instead of coconut. I felt the whole thing worked very well with lemon and coconut as well. but yes – one knows immediately! and I am going to make loads more stuff from the book,baby O has no chance. 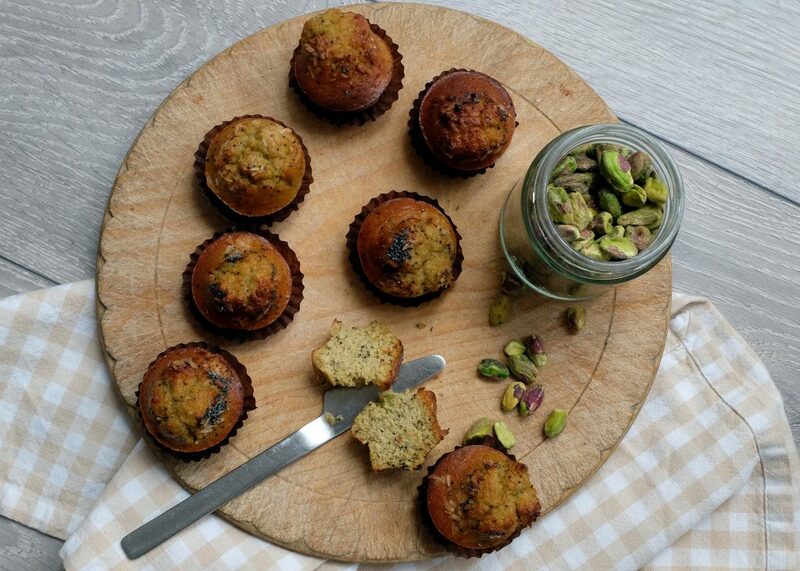 These muffins look absolutely delightful. 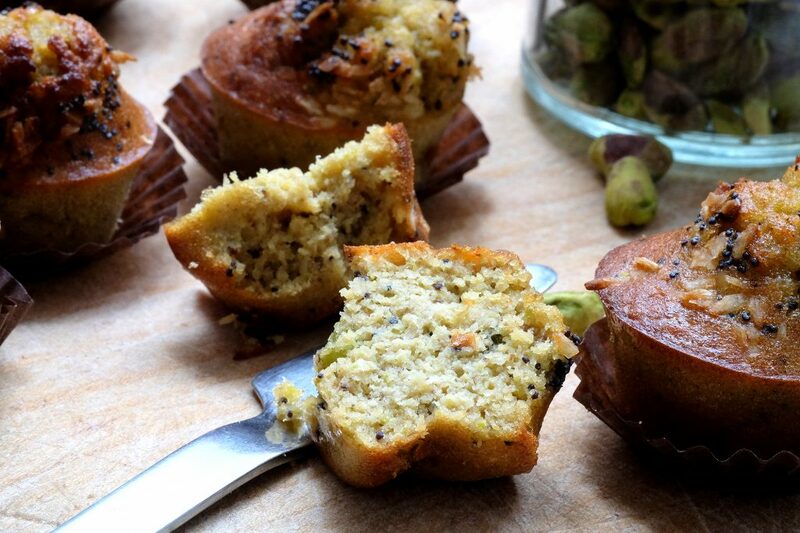 I love pistachios and poppy seeds, so for me it’s a perfect recipe. 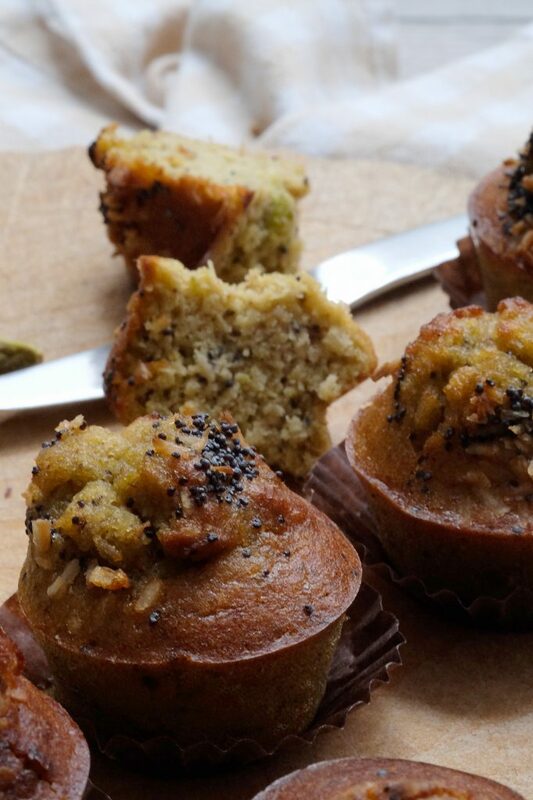 Poppy seeds are very popular in Russia, they appear in many kinds of bakes. I don’t use them as much, which is a shame! The muffins were a hit with the little ones too. Thanks for the comment, but the way we met was perfect too. Just a shame we live too far apart !